If someone asked me how I would envision a garment against women, it would not be too difficult for me to respond. I would suggest something steel and hidebound, an I-beam with little to offer the imagination. It might be a dark cesspool of factory life, much as Marx would have written about in the nineteenth century. It might be a hairshirt or a black mirror that promises no future. 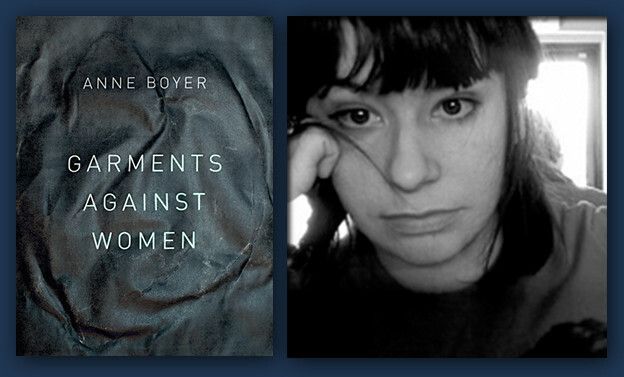 In one sense, Anne Boyer’s Garments Against Women captures this, but in another sense, it is a book that talks with a sense of hope about what the world could be.